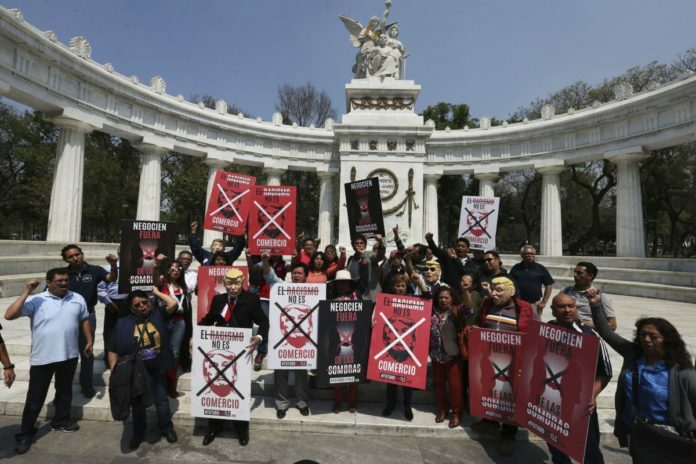 MEXICO CITY — Two days after the top negotiator for NAFTA’s automobile-related issues was summoned back to Washington, many here are unsure if he’ll return, which could further delay negotiations. Jason Bernstein, the U.S. trade representative’s chief negotiator on car rules of origin, was called back to Washington on Monday, just a day after Round 7 of the trilateral negotiations began, to meet with American auto industry representatives. A rules of origin change could dramatically shift automotive parts distribution operations in the Rio Grande Valley, as well as manufacturing in Mexico. This topic was on the negotiating schedule from Sunday through Tuesday. Round 7 is scheduled to last until Monday, likely followed by an eighth round toward the end of March in Washington. Regional rules of origin are currently at 62.5 percent, meaning that in order for a product to qualify under NAFTA, 62.5 percent of it must be produced from the three treaty countries. The United States has proposed upping that number to 80 percent, with 50 percent of that to be from the United States, a change that Canada and Mexico have been reluctant to accept, trade officials said. “Sometimes it’s interesting when negotiators go back to the capital for consultation,” said Sergio Gómez Lora, CEO of IQOM, an international trade consultancy firm advising the Mexican private sector in the negotiations. Jaime Serra Puche, Mexico’s commerce secretary when NAFTA was signed more than two decades ago, was unsure what Bernstein being called back to Washington signaled. But as far as rules of origin? Now, moving it slightly higher for the three countries — possibly 70 percent — could work if done well, he said. But 50 percent dedicated strictly for the United States would not work. Automotive parts crisscross the U.S.-Mexico border daily. Roughly half of the maquiladoras in Ciudad Juarez, across from El Paso, are automotive-related, according to Marycruz De Leon, an El Paso-based senior economic analyst for the Federal Reserve Bank of Dallas. Reynosa also has a high percentage of automotive-related maquiladoras, while McAllen and surrounding cities have a strong distribution and services sector, according to Dallas Fed research. Adalberto Campero runs Freight Dispatch Service Agency in Pharr, which ships and receives auto parts using the Pharr-Reynosa International Bridge. Steering wheels, door handles, seatbelt, gas pedals, headrests and arm rest consoles constantly pass through Campero’s 80,000-square-foot facility.